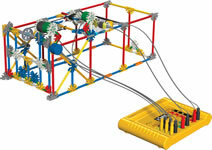 The K'NEX STEM Explorations set can be used to build 9 computer-controlled models, one at a time. 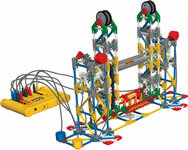 The set includes a K'NEX Interface and software (with site licence), motors, push button switches, reed switches, a buzzer, and LEDs. 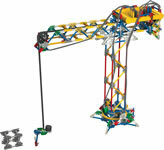 The set is designed for students to investigate a variety of concepts related to science, technology, engineering and maths. 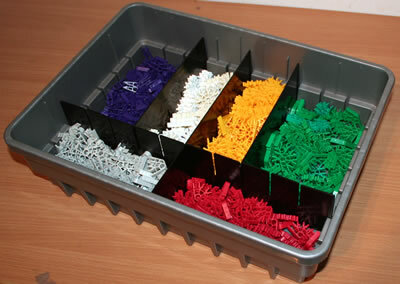 Packaged in a strong storage tub with snap-on lid. The Teacher's Guide provides guidance to the teacher as they present a comprehensive STEM experience for their students with each lesson. Students will be given specific problems, ask questions and conduct research using fair and consistent testing procedures, chart and analyze their data, refine solutions through feedback from their designs, and communicate their results. 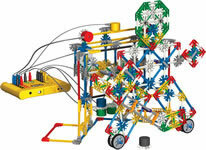 The modules are hands-on, cooperative activities providing stimulating inquiry and problem solving through design. 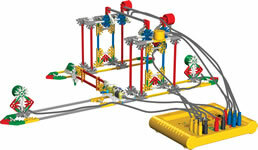 With the software, Interface, various input/output devices, motors, and K'NEX Rods and Connectors, the students will experience problem solving in design and automation using programming, construction techniques, and devices to help them understand how to program and operate computer controlled devices. 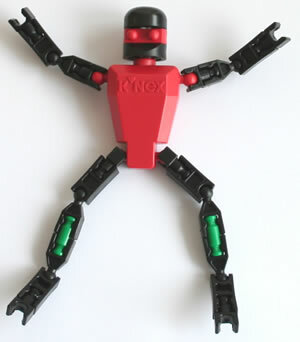 STEM Education focuses on science, technology, engineering and mathematics concepts taught through problem-solving, discovery, exploratory learning and critical thinking. 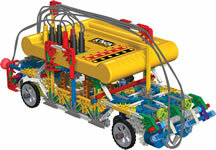 STEM Education requires students to be active participants in the learning. 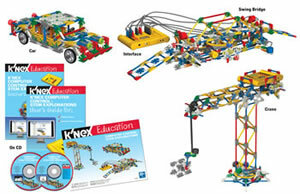 K'NEX models offer hands-on learning opportunities that encourage scientific inquiry, investigation and experimentation. 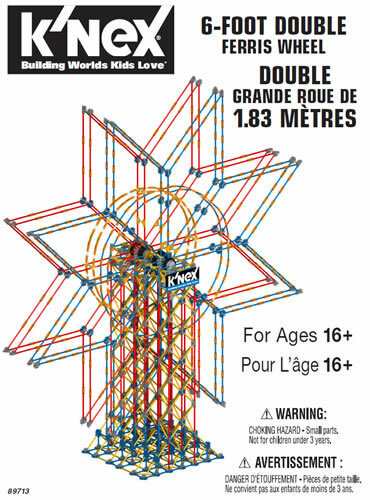 Our inquiry-based lessons challenge students as they build, investigate, problem solve, discuss, and evaluate scientific and design principles in action.